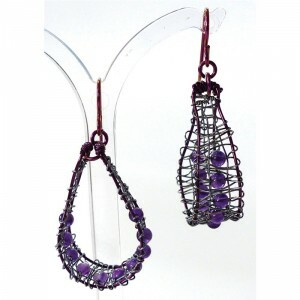 These earrings are made by weaving coloured wire. 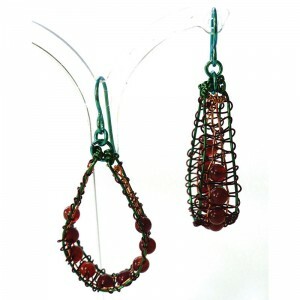 Hessonite agate beads are threaded on to make these unique looped up earrings. 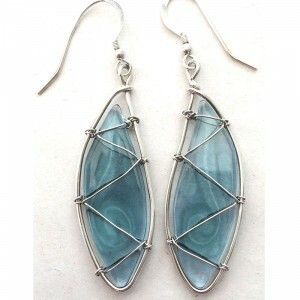 The ear wires are made of Niobium. 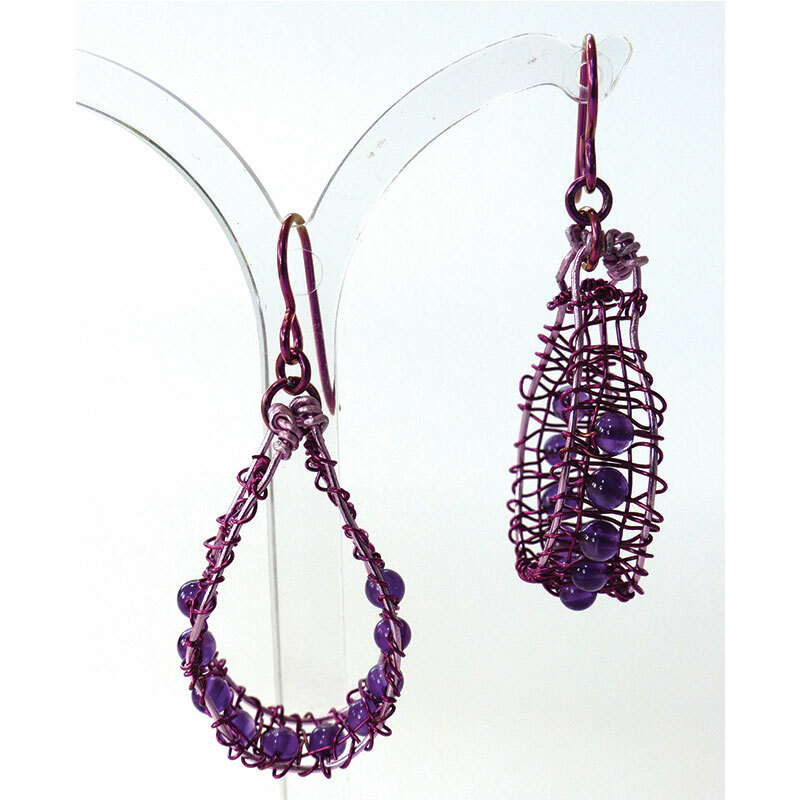 The loop is 2cm wide and the earrings hang 4.8cm from the top of the ear wire. 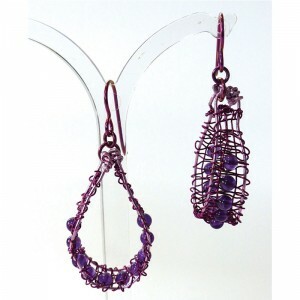 As with all handmade pieces the colours and shapes may vary slightly.